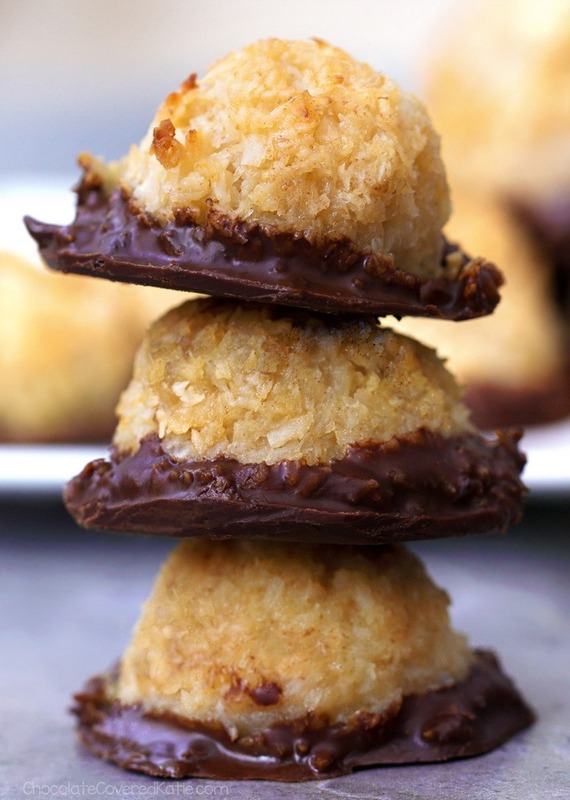 This classic coconut macaroons recipe is so easy to make… and hard to resist! These delicious and deceptively simple coconut cookies are so quick and fun to make that they might just become your new favorite cookies! Stir the ingredients together in a bowl. Microwave or heat on the stove. Form balls and bake in the oven. Eat them all up… then head straight back to the kitchen, to make another batch! So what is a macaroon? If you google “macaroon recipe,” you’ll find cookies that look like the ones in these photos, and you’ll also see cookies that look completely different. 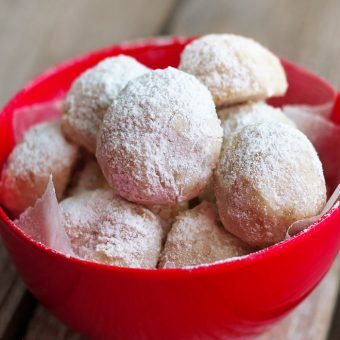 Modern day coconut macaroons are soft coconut cookies, sometimes made with almond paste or even potato starch. They’re popular for Christmas and are also a popular Passover recipe because they’re unleavened. Macarons—spelled with one o instead of two, or sometimes called French macaroons—are egg white meringue-based sandwich cookies made with ground almonds or almond flour and often filled with ganache, jam, or buttercream. They come in a rainbow of colors. The two cookies are adaptations of what was once the same recipe, hundreds of years ago. 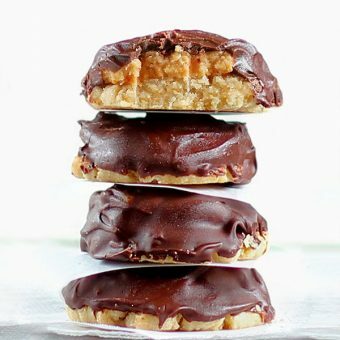 For Keto Macaroons: Add 3 1/2 tbsp melted coconut oil in place of the maple syrup, and sweeten with uncut stevia to taste. 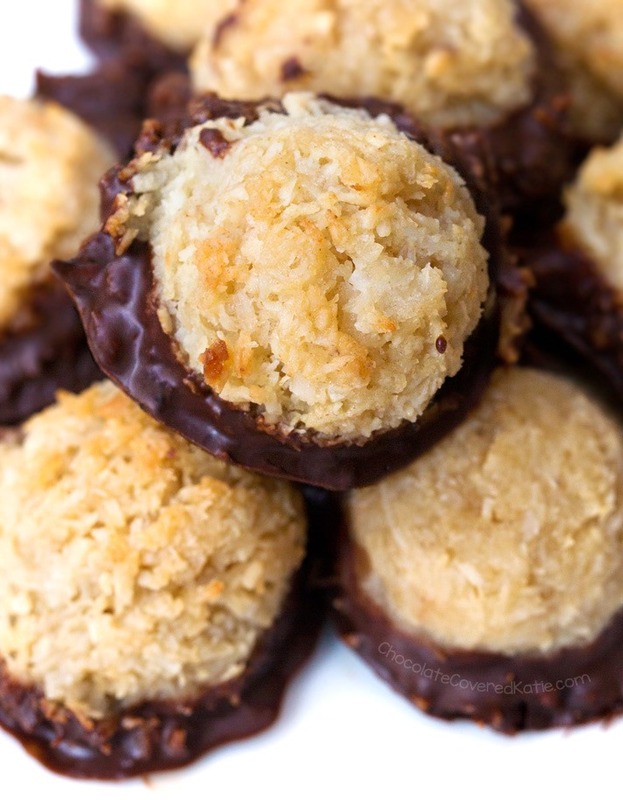 For Paleo Macaroons: Use either almond meal or coconut flour for the 1 tbsp flour of choice. For Protein Macaroons: Substitute an equal amount of your favorite protein powder (I like this vegan protein powder) for the flour or almond meal. These healthy coconut cookies have been a staple on my holiday baking list for the past seven years, and I’ve made them a million different ways. 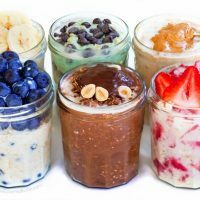 Aside from changing the recipe up by using different flours or protein powders, you can also add almond extract, peppermint extract, or spices such as cinnamon and nutmeg, for endless flavor combinations. The cookies need no refrigeration, making them an excellent choice any time you need to make a dessert for a holiday party. Just be sure not to eat them all before they reach their destination! Preheat oven to 350 F. Stir together all ingredients, then either microwave or heat on the stove until thick enough to scoop balls onto a cookie tray. (I used a melon baller, but a spoon or ice cream scoop also work.) Bake on the center rack 15 minutes. Let cool completely before removing from the tray. 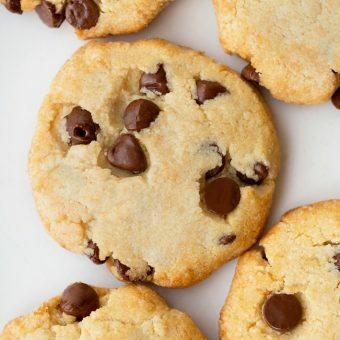 If desired, dip in melted chocolate or melted Sugar Free Chocolate Chips. 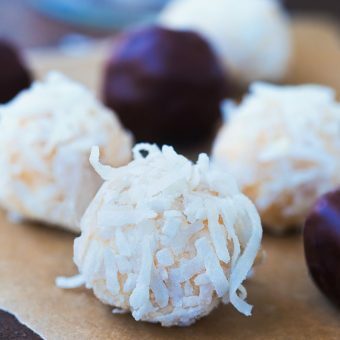 I can’t wait to make these for my coconut loving BF for Christmas. 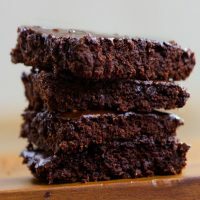 Question for you, you stated in the description you could add other flavors (almond extract, peppermint extract, etc.). In doing so, do you replace it for the vanilla (or coconut) extract in the posted recipes or in addition to?? When you say coconut milk do you mean canned coconut milk or something like Coconut Dream that I use in other things? thanks. Not silly at all! Just dip the cookies in melted chocolate and place on a parchment-lined plate. 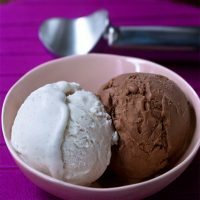 The chocolate will harden on its own, but to speed up the process you can put it in the fridge or freezer. Thanks for all of your lovely recipes!! 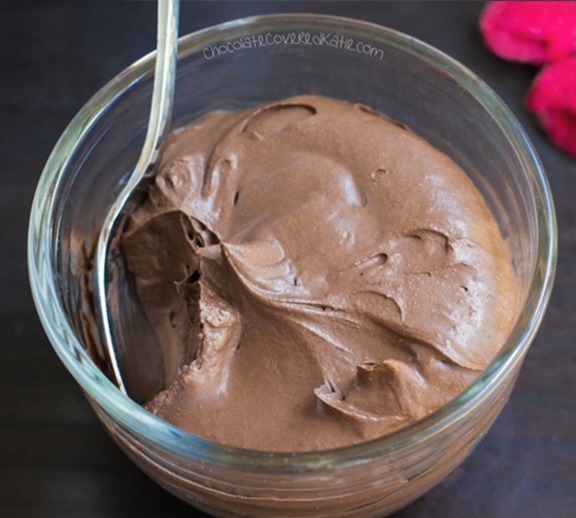 You can even make your own chocolate base by mixing 1/4 cup melted coconut oil, 1/4 cup cocoa powder and sweetener of choice! It hardens well in the fridge but if left outside it will melt faster. Just a suggestion! Interesting how macaroons and macarons are based on the same original recipe – other than the similar names they seem like completely different cookies! I had macarons for the first time when I was traveling in Paris this past summer! 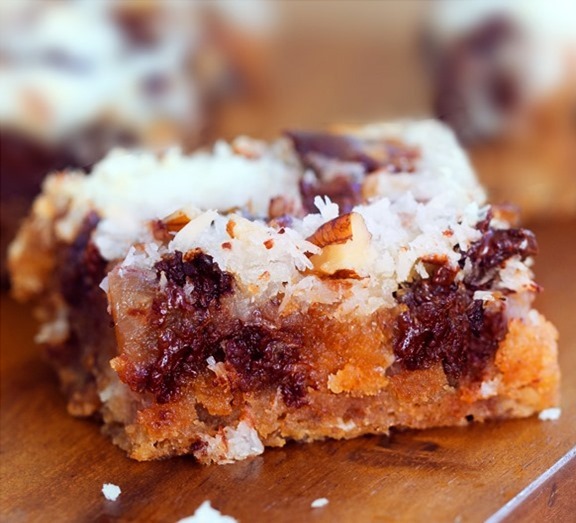 However, I love coconut and this ingredient list and can’t wait to try making these at home! Ok. So, any tips so they don’t fall apart? 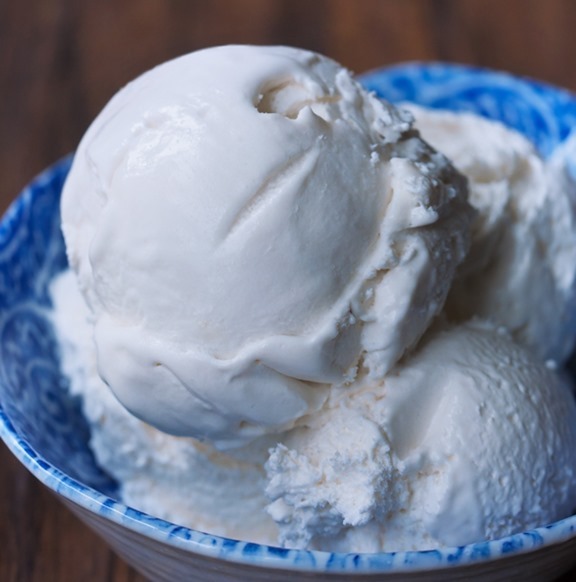 How do you know when they are ready to scoop? This recipe isn’t as easy as you make it out to be. 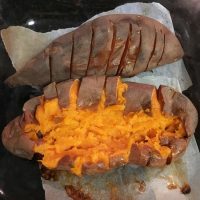 I’m confused and am trying to understand your comment better – have you made the recipe and had trouble knowing when to scoop them, or just asking because you’re not sure you would be able to tell? They are ready to scoop when they are able to be formed into mounds without falling apart, if that makes sense. Agreed. I heated the ingredients, but they never came together enough to form mounds. There are no directions for that part. Sounds like maybe you just had to heat them longer? What kind of scoop did you use to form mounds? Just use a mini cookie scoop. Worked perfectly for me! I am cooking them now and it is taking a longer time that I imagined to get the mix to not be runny. I will continue to cook them and hopefully the consistency will improve. These are great. You need to cook down the ingredients until most liquid is gone…then pack them firmly. Be sure to cool completely or they will crumble. 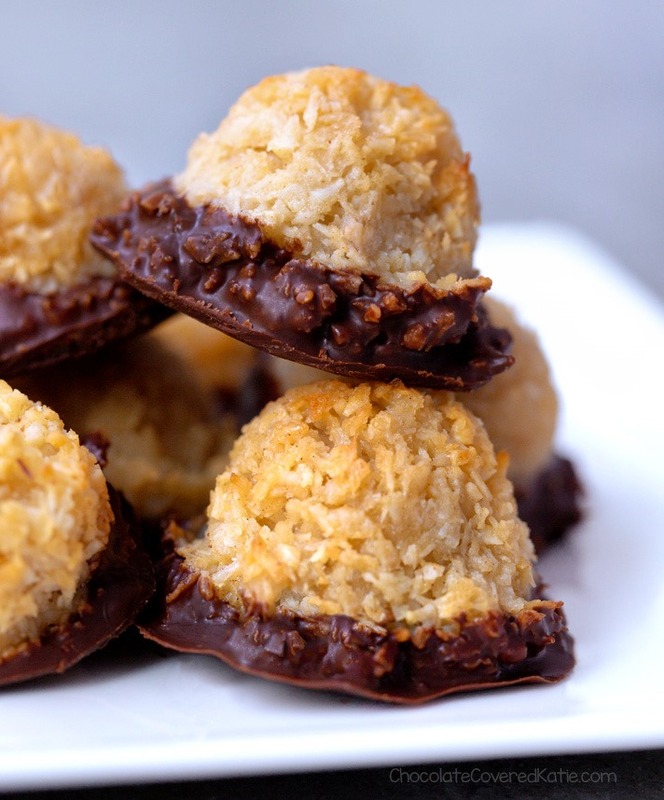 Coffee cream macaroons sounds so amazing! I used Bob’s gluten free baking flour, and bulk unsweetened coconut that was fairly fine. These turned out great!! They had to cook much longer than I thought they would need. Keep it on a low temp so you don’t scorch the bottom. A bigger saucepan would also help. I used a cookie scoop, and they cooked up so pretty and kept their shape. I cooked them for a extra 3-5 mins so the middle wasn’t so soft. The chocolate bottoms pulled this together perfectly, but we did eat a bunch without chocolate too! 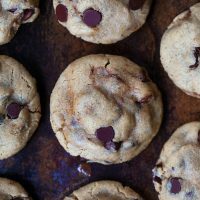 I haven’t made these cookies yet, but have a question. Would like to try them but couldn’t understand how the coconut stays together to form a cookie. 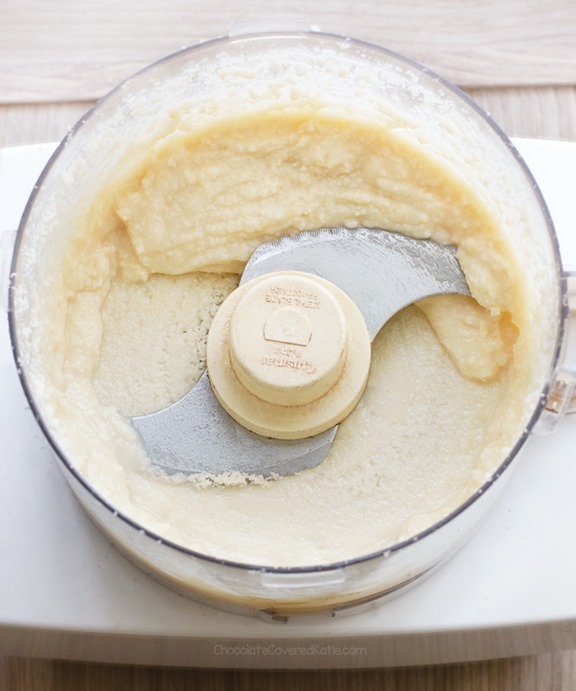 Is it the flour and milk being heated up that creates a roux that holds the shredded coconut together? 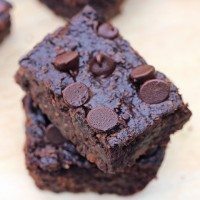 I just tried these after reading all of the comments, knowing that I was trying it with sweetened coconut even though the recipe calls for unsweetened. I’m running to the store now and unsweetened coconut is on my list! My original ones with sweetened coconut turned out similarly to others comments, so I’m assuming that was the difference – the coconut! However, I’m still so excited to try these again, rather than blaming the recipe 🙂 Also, they’re delicious despite having to scrape the gooey macaroons off the pan! Heated longer is pretty vague, are we talking 3 minutes or 30 minutes? Mine are in the oven now but pretty sure they will be going straight into the trash. They should be scoopable when you take the batter out of the first cooking stage. Were yours scoopable at that point? If not, just heat until they are – it shouldn’t take much longer than instructed! These didn’t turn out for me. It took longer than I thought to get thick on the stove. Also, I didn’t have any almond meal so I ground up some almonds and made some, still they didn’t keep their shape and fell apart. 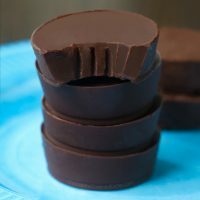 In order to save the ingredients I made little mounds out of them and covered them in chocolate. I am currently chilling them, hoping this will make them where I can eat them without having a mess. I’d like to know what I did wrong so I can get it right the next time. 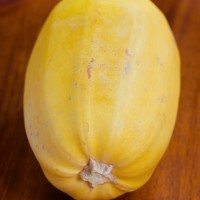 What type/brand of coconut did you use, and what other specific ingredients? I agree with the others. I wasn’t able to keep my coconut balls together. They kept falling apart. Even after cooking them, and trying to dip them in the chocolate, they crumbled. 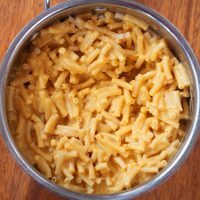 I’ve made many of Katie’s recipes, and they are all great! But this one I wouldn’t reccomend. 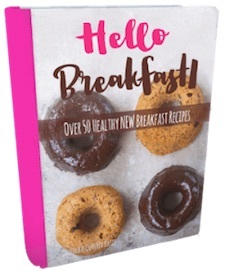 Can you tell me more about the specific ingredients you used, such as type of coconut, oil, sweetener, etc.? It’s impossible to try and guess what happened without more specifics. It seems strange that this recipe is working for most of the commenters (and me) but not everyone and I’m trying to figure out the common denominator. Do you use freshly grated /froze coconuts or the dry dried desiccated coconut? 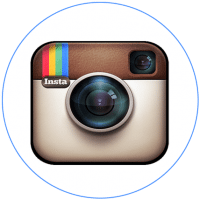 I’ve made at least a dozen of the recipes on this site over the years and they are all great. 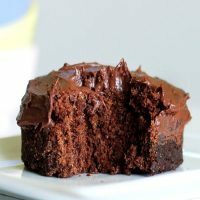 Her chocolate banana bread is my kids’ favorite! This one isn’t up to par, though. 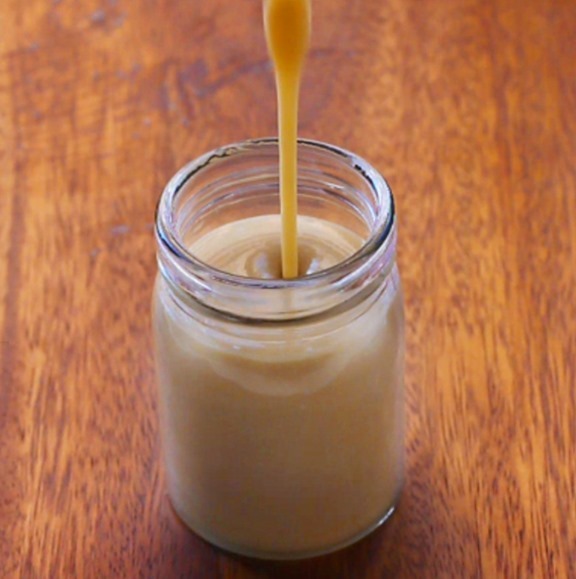 I tried the Keto variation, and like other posters, I had trouble getting my batter to a scoopable form, I need up adding two more tablespoons of almond flour and a tablespoon of flaxseed to help it thicken. They are out of the oven now but each macaroon is in its own little puddle of coconut oil, not the most appetizing. I subbed 3.5 tablespoons of coconut oil for the maple syrup as instructed but this does not work as written. 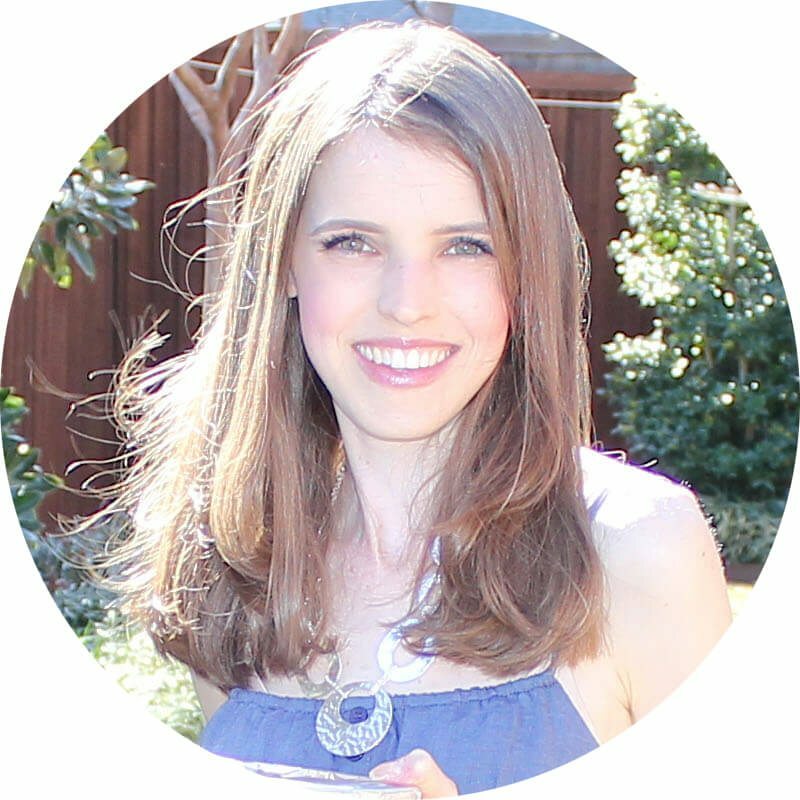 It’s so weird, because some people (including myself, and of course Katie) are having success, but you’re maybe the third person who didn’t, and I’d like to try and figure out why not everyone is having the same good results! What type/brand of coconut did you use? I wonder if some brands just have less fat or are less dry… Otherwise it doesn’t seem to make sense that the recipe works for some but not all! Are you in a moist climate/environment? Did you heat the batter in the microwave to get it scoopable first? I’m trying to think of other variables. I live in Colombia and used a local brand of unsweetened and desiccated coconut. Our climate is fairly dry. I did put it in the microwave to make it scoopable. Interesting, maybe it’s just not the same as in the US brands! But no matter what, if you microwave it long enough, won’t it get dry enough to scoop out? If it doesn’t, just microwave until it does! My cookies fell apart too. I think the problem is in the heating. The next time I make them I will heat the mixture longer to be sure that they form firm balls. Mine wee loose when I put them in the oven. This first batch of cookies may not be pretty but they certainly are delicious!